'Re Sole' Barnaba Fornasetti large plate. 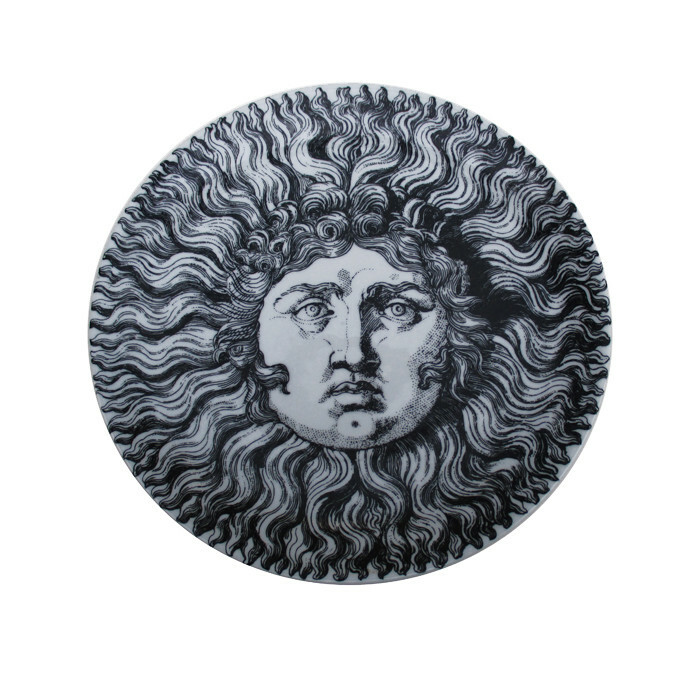 Made by Fornasetti, Milan Porcelain, white, glazed, black and white lithographed pattern. Marked: Maker's mark, FORNASETTI MILANO MADE IN ITALY.